Aldo Leopold, co-founder of The Wilderness Society and a preeminent voice in the conservation world defined wilderness as "a continuous stretch of country preserved in its natural state, open to lawful hunting and fishing, big enough to absorb a two week's [horse] pack trip." In his most famous book, A Sand County Almanac, he provided two examples of "primitive skills in pioneering travel..." one of these is canoe travel, and the other is travel by packtrain." The Wilderness Society honors the rich history of horseback riding in wilderness through a new partnership with Back Country Horsemen of America. 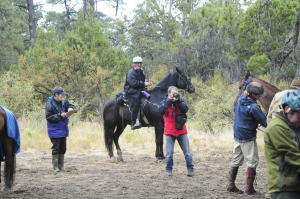 The two groups first met in the spring of 2009 when Back Country Horsemen of America approached The Wilderness Society to request their help preserving opportunities to enjoy wilderness riding and packing and interpreting the history and significance of pack and saddle stock for managers and other wilderness advocates. "A partnership between the Back Country Horsemen of America and The Wilderness Society makes sense, especially in light of how many of our visionary wilderness leaders, like Aldo Leopold, Howard Zahniser and Mardy Murie, saw many of their greatest moments of clarity, insight and inspiration while riding a horse deep into the wild country of America," said Bart Koehler, senior wilderness campaigns director at The Wilderness Society. "These moments gave them a bedrock solid sense of direction and helped them lead the way to securing protections for special wild places thanks to The Wilderness Act." The Arabian Horse Foundation has established a scholarship in honor of the late actor Patrick Swayze and his wife. Swayze and wife Lisa Neimi owned Arabian horses and competed in shows for several years. The foundation is the charitable arm of the Denver-based Arabian Horse Association. Foundation President Larry Kinneer of Dayton, Ohio, said Friday that the scholarship honors Swayze for his career and the couple's "love of the Arabian breed and contributions over the years to AHA youth programs." You don't have to be a mammoth corporation with a bottomless pit of capital to make it big overseas. Andrew Mernin finds out how a growing band of the region's small businesses have become exporters on a shoestring budget. A HORSE called Tiffany with a bad back was the unlikely catalyst for the creation of a globally successful firm in a tiny village in Teesdale. 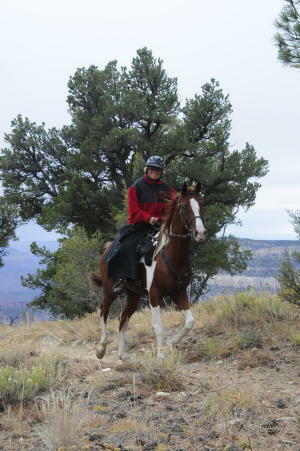 Tiffany's owner Les Spark, an endurance riding enthusiast, set about designing a saddle which would allow him to ride the horse without being thrown to the ground in anger at her own discomfort. 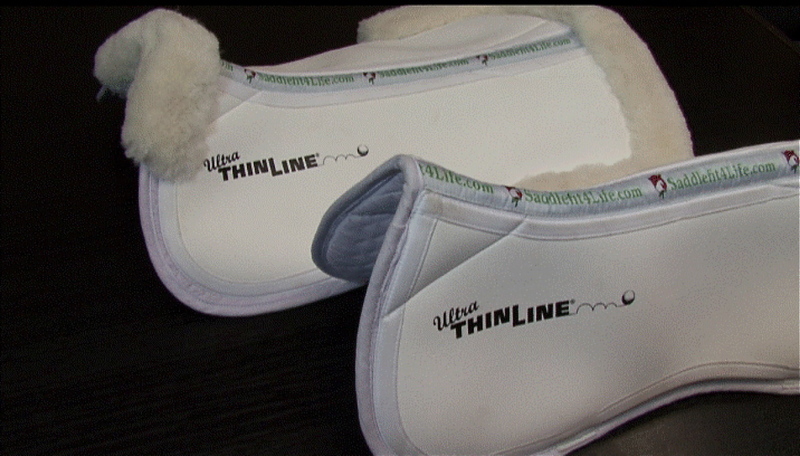 And so the flexible, and apparently ultra-comfortable, Free N Easy saddle was born. Seventeen years later, the saddle is sold in 20 countries across five continents and has given the village of Low Selset, near Barnard Castle, its own international success story. BRODNAX — The Virginia Tobacco Heritage Trail Roanoke River Rails-to-Trails segment from Brodnax to La Crosse has received a walk through approval and is already being used by visitors. The Trail that runs through La Crosse and Brodnax is already attracting walkers, equestrian enthusiasts, bikers and nature enthusiasts. The Tobacco Heritage Trail, according to the Web site, is a system of long-distance recreational, multiuse, non-motorized trails that provide an opportunity for all Southside Virginia to participate in a viable undertaking that will unify diverse communities, enrich lives, and help rebuild the economy. Officials say the Trail will assist economic development - through tourism and business enterprise - and will serve as a quality-of-life tool by providing both residents and tourists valuable health and recreational benefits. In addition, the trail will be preserving a greenway and will serve as a link to nature for all its users such as: pedestrians, hikers, bicyclists, and horseback riders - with portions accessible to those with mobility limitations. A lot of things can happen over the many miles of an endurace event. California veterinarians recently tracked the incidence and resolution of equine medical issues encountered during endurance competition. C. Langdon Fielding, DVM, Dipl. ACVECC, of the Loomis Basin Equine Medical Center in California, and colleagues, looked at the records of 30 horses that required emergency treatment after being removed from endurance competition. Some of the issues the researchers encountered included colic, esophageal obstruction (choke), poor cardiovascular recovery, myopathy, and synchronous diaphragmatic flutter (thumps). They studied the horses' examination, lab work, age, breed, and other parameters to see if they could spot specific indicators that could help them catch the problem earlier. Asociación Uruguaya de Enduro Ecuestre. Colorado Department of Agriculture has announced movement restrictions or additional entry requirements for horses from Texas due to the detection of equine piroplasmosis in South Texas. To answer your questions, a representative of the Office of the Colorado State Veterinarian will be at the annual meeting of the Colorado Horse Council, at 1:00 p.m. on Sunday, November 15, at the Pro-Rodeo Hall of Fame in Colorado Springs. Anyone interested is welcome to attend; call (303) 292-4981 for more information. Equine piroplasmosis is a serious tick-transmitted blood disease of equine animals, such as horses, donkeys, mules and zebras; the disease may be carried and transmitted by as many as 15 species of ticks. Although ticks have been collected from the South Texas ranch for testing, final results are not complete, and it is not known whether any of the ticks can serve as a host for the disease. * The following statement by the accredited veterinarian signing the CVI, "I personally inspected the equine listed on this certificate. They do not originate from an equine piroplasmosis quarantined premises, were inspected for ticks, and were treated prophylactically for ticks at the time of the inspection." * any equine that subsequently tests cELISA positive to piroplasmosis shall be quarantined and shall not remain in Colorado. Changes in import requirements may develop as new information becomes available to better define the extent of the outbreak. For updated information refer to http://www.tahc.state.tx.us/ or http://www.colorado.gov/cs/Satellite/Agriculture-Main/CDAG/1183672504470 or call 303-239-4161. OROVILLE -- Come rain or shine, more than 100 riders from all over the northwest will be saddling up for the 11th annual Lake Oroville Vista Endurance Ride on Saturday. The LOVERide, featuring both 30- and 50-mile events, is among the most popular and renowned American Endurance Ride Conference sanctioned rides on the West Coast. 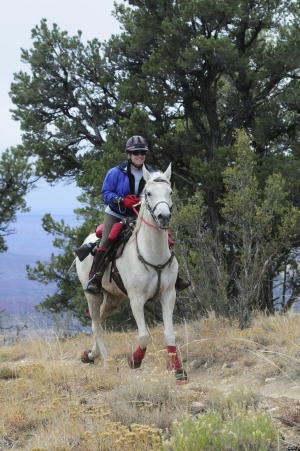 "With the stunning vistas our local trails have to offer, this event has put Oroville on the equestrian map of places to trail ride and horse camp," said Laurie Anderson, one of the ride's volunteers and participants. "We've had riders come from as far away as England come to participate in this event. We've had as many as 200 riders in past years and this year we expect well over 100 from California, Utah, Nevada and Oregon. Some riders come back year after year." The LOVERide is managed by Oroville resident Kathy Papa and sponsored by the Mounted Assistance Unit of the California State Parks, in cooperation with the Department of Water Resources, which provides the staging areas and security for the annual event. Both the 30- and 50-mile ride start and end at the Diversion Dam and loop up to Loafer Creek. The 50-mile ride continues with a loop on private property across Highway 162 and then back to the Diversion Dam. Young equine enthusiasts from around the country are expected to attend the EQUUS Foundation/USEF Youth Convention on Saturday, January 16, 2010, in Louisville, KY. The Youth Convention, now in its third year, is held in conjunction with the USEF Annual Meeting for the purpose of uniting youth as well as for growing equine interest and participation. Attendees will learn to become better horsemen, develop awareness of educational opportunities to pursue a career in the equine industry, and gain leadership skills to serve as future committee members. This all-day event will include a Star Power Panel of top athletes from USEF-recognized breeds and disciplines who will speak with youth about their experiences, backgrounds and enthusiasm for the horse, as well as answer questions. Experts in the equine industry will also be brought in to conduct breakout sessions regarding horse health; vaulting basics; interscholastic riding programs; college and career planning; affiliate youth programs; and a special session for parents, covering the basics of purchasing a first horse and competing. At the end of the day, attendees are invited to the Pegasus Reception and Awards Dinner, followed by a youth dance. Colleges and Affiliates will have the opportunity to showcase information concerning their equine programs, equestrian teams and youth programs. Displays will remain up during the Youth Convention and the USEF Pegasus Reception on Saturday evening. Sponsorship opportunities are also available and donations of $25 or above will receive recognition in the EQUUS Foundation/USEF Youth Convention program. The Youth Convention is an outreach program of the USEF Youth Council comprised of USEF members, 22 years of age and under. Youth Council members represent a variety of disciplines and organizations, including the American Connemara Pony Society, American Driving Society, American Endurance Ride Conference, American Morgan Horse Association, American Road Horse and Pony Association, American Saddlebred Horse Association, American Vaulting Association, Arabian Horse Association, International Andalusian Lusitano Horse Association, International Friesian Horse Society, National Reining Horse Association, National Show Horse Registry, Para-Equestrian, Paso Fino Horse Association, United States Dressage Federation, United States Eventing Association, United States Hunter Jumper Association, United States Pony Club, and the Welsh Pony and Cob Society of America. The Convention is sponsored by The EQUUS Foundation to support the Youth Council goals to: 1) Provide strong and creative youth leadership for all equestrian sport in the United States; 2) Promote the pursuit of excellence in horsemanship from the grassroots to the top levels; 3) Advance the level of horsemanship across all disciplines throughout the United States; 4) Generate interest between competitors and enthusiasts from all breeds and disciplines; and 5) Educate members and the public about equestrian sport. To learn more about the USEF Youth Council, visit the USEF website link at www.usef.org/_IFrames/Youth/council.aspx. Please direct any inquires to Jennifer Mellenkamp, USEF Youth Programs Director, (859) 225-6955 or jmellenkamp@usef.org. 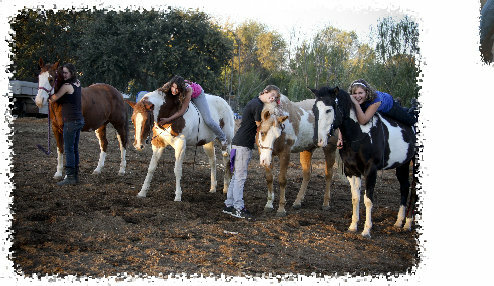 For more about The EQUUS Foundation, visit www.equusfoundation.org. Horses Hope and Healing….pretty much says it all... and ACTHA/Cavallo decided to help. Recently ACTHA (The American Competitive Trail Horse Association) and Cavallo Horse and Rider Inc. teamed up with other ACTHA sponsors like Trail Blazer, Rick Lamb, Trail Town USA, Mayatex and others too numerous to mention, to see what could be done for the cause of Tiffany Oreglia and The Staff at Horses Hope and Healing, a non-profit in Sacramento California(www.horseshopehealing.com). "This is our business here at ACTHA" states Karen VanGetson Co-Founder of ACTHA, "and this was one we relished!" In a nut shell HHH combines kids at risk with horses at risk (rescues). Together each finds a friend and each is bolstered in their travels through life. When Tiffany Oreglia, Founder of HHH was originally asked by Greg Giles of Cavallo as to how he could help, Tiffany said she had need for a new pitch fork and some other modest supplies. Greg called Tom Scrima at ACTHA and shared his admiration of what this wonderful organization was doing with such modest funds. Together they embarked on giving what they could…a fishing pole and a few fish. Through ACTHA's and Cavallo's help Tiffany and her crew at HHH were able to put on a ACTHA sanctioned ride where almost 100 riders came, competed, laughed and had a great time. With ACTHA and Cavallo's leadership sponsors flourished and great prizes were won by all. At the end of the day several THOUSAND dollars was raised by HHH and the work goes on.... smiling kids and grateful horses. Best of all HHH now has a proven way to consistently raise funds for their needs. "In a perfect world this is how it should be, and who says we can’t strive for perfection?" states the 2 representatives from Cavallo and ACTHA, Greg Giles and Tom Scrima. To date ACTHA has helped and enabled more than 100 wonderful charities and Causes like Tiffany's at Horses Hope and Healing. We're proud of our members, sponsors and affiliates for making this possible...lets make it 1,000 !!! Arabian Saddle Company's (ASC) truck and trailer, along with their entire show stock were stolen from the parking lot of the Extended Stay Hotel on Saturday night after packing up from U.S. Nationals in Tulsa, Okla. The goods alone are worth several hundred thousand dollars. If you or someone you know is offered a significantly reduced price on any of ASC's products, or you see their products advertised anywhere (ebay, local retail store, etc. ), other than their official website or from an authorized dealer, please contact the Tulsa Police Department 918-596-COPS (2677) immediately. On 09-9-09 Primo and I reached Monument 78 located at the border of Canada. 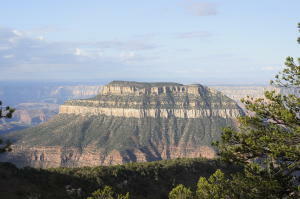 It is the northern terminus of the Pacific Crest National Scenic Trail. We had left the border of Mexico on April 19, 2008. 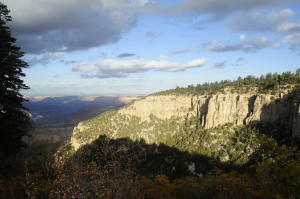 The scenery along this trail is beautiful and sometimes spectacular. This was especially true of the North Cascades of Washington - absolutely awesome. There the trail can sometimes be challenging. There was a tragedy about three weeks ago when a woman from Georgia lost both of her horses down a vertical cliff. They died on impact. Fortunately she had been leading. She pressed the 911 button on her SPOT and was rescued by helicopter. She had taken a part of a detour section that was considered dangerous to horses. I had bypassed that place. I am thankful that Primo is a relatively small horse (14.3 hands and about 900 pounds). He is very agile and sure-footed. He knows where to put his feet - and also where not to put them. We trusted each other and took care of each other. The picture that I am attaching was taken on my camera by a thru-hiker from Finland who arrived at the border a few minutes after we did. Riding Chris Martin’s 7-year-old chestnut Arabian gelding, Monk, the Napa resident finished the technical course in 9 hours and 58 minutes. Graham, 27, finished 35 minutes ahead of the runner-up, Brad Green of Auburn, Calif., who rode his 10-year old Arabian cross gelding, Pawnee. The win came as a surprise to the Graham, who has 2,275 miles of endurance competition under her belt. A total of 61 horse-and-rider teams started the 100-mile competition at 5:30 a.m. Sept. 11 in the town midway between Redding and Reno. The trail varied from 3,800 to 6,100 feet in elevation, with spectacular views of Walker Lake and Lake Almanor. When the 24-hour time limit was up early the next morning, 42 teams had crossed the finish line. At the Best Condition judging on Saturday morning, Graham’s horse was awarded top honors by the team of veterinarians who examined the top 10-placing horses. Graham’s mother, Susan Graham Seibert, mounted her horse Phoenix Affair two days later to compete in the AERC’s 50-mile championship ride. Phoenix, who at 22 is one of the oldest competing horses in endurance, has racked up 4,120 endurance miles since 1993. For the first time ever, the Arabian Horse Association (AHA) will combine the National Endurance Ride and National Competitive Trail Ride into one week of exciting competition for the National Distance Championship set for October 27-31 at Lake Carl Blackwell in Stillwater, Oklahoma. Competition begins Tuesday, October 27, with the AHA National Championship 100-Mile Endurance Ride, coupled with three coinciding American Endurance Ride Conference (AERC) sanctioned rides. The AHA National Championship competitive trail ride (CTR) spans two days, October 28-29. The last two days of competition will feature the AHA National Championship 50-Mile Endurance Ride on October 30 with Open rides on October 31. The Ozark Country Endurance Riders (OCER) will host a Halloween special, Witch Way Ride, on October 31. Distance riding combines stamina, endurance and athleticism in ways few other equine disciplines do. Endurance rides are best described as a cross-country contest of 50 or more miles. Horse and rider cover a measured course within a specified maximum time at any pace they choose. Near every 20-mile mark, horses are examined by a veterinarian who has the power to pull a horse from the competition or put a hold on a horse-and-rider team, allowing time for the horse to rest and recover. An endurance ride is won by the horse-and-rider team that crosses the finish line first, although an award is also awarded to the horse that is in the best condition after finishing, as determined by a veterinarian. In contrast to endurance riding, a competitive trail ride (CTR) is usually shorter, normally 25-50 miles. Riders are required to complete the ride within a certain window of time based on a speed of 6-8 mph and adjusted for difficult terrain and weather conditions. Riders who do not complete the ride within the time window will be either disqualified or penalized. The horse deemed winner is one that completed the course in the allotted time, while also maintaining the best condition, as determined by a post-ride exam. The National Distance Championship is free and open to the public. 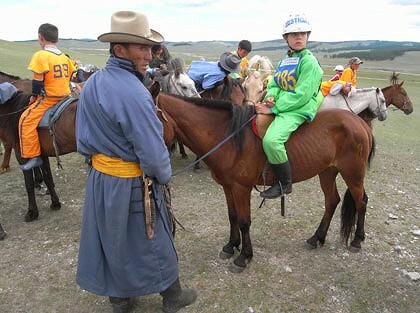 Spectators are invited to base camp where the veterinarian check point is located and horses and riders transition from one leg of the race to the next. The dates of the National Distance Championships coincide with that of the U.S. Nationals in Tulsa, Oklahoma, about an hour and half away, giving horse lovers in Oklahoma plenty to watch in October. Arabians, Half-Arabians and Anglo-Arabians, known for their versatility and athleticism will be on display at the National Distance Championships and U.S. Nationals for the public to enjoy everything from the grueling 100-mile endurance ride to the glitz and glamour of English pleasure and the excitement of working cow classes. AHA is a major equine association serving 35,000 members across North America. It registers and maintains a database of more than one million Arabian, Half-Arabian and Anglo-Arabian horses and administers approximately $3 million in annual prize money. AHA produces championship events, recognizes close to 600 Arabian horse shows and distance rides and provides activities and programs that promote breeding and ownership. 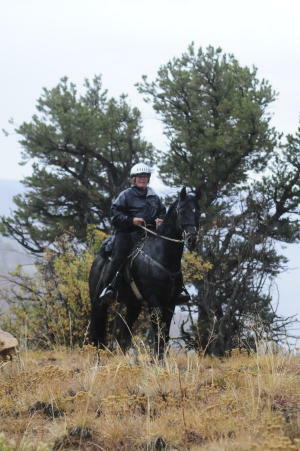 For information about Arabian, Half-Arabian and Anglo-Arabian horses, call 303-696-4500, e-mail info@ArabianHorses.org or visit www.ArabianHorses.org. AURORA - A 500-pound black bear attacked a horse at a private boarding facility in the southwest Denver suburbs, wildlife officials said. The Colorado Division of Wildlife said the horse suffered deep cuts on its neck and claw marks on its side early Friday morning. DOW spokeswoman Jennifer Churchill said the bear likely will not stay in the area and that it may have gone back to the mountains where it came from. Churchill said this type of attack is rare, and the animals may have spooked each other in the dark. Wildlife officials said they found paw prints near the area leading toward the boarding facility and other prints leading toward the mountains. "We don't think at this time this bear is going to stay in that area or go after livestock; it's a rare kind of situation," she said. The horse, named Cody, is expected to recover. The American Horse Council is pleased to announce its support of the Complete America's Great Trails Act (H.R.1912). This bill was introduced by Representative Gerry E. Connolly (D-VA) and Representative Cynthia Lummis (R-WY) On April 9, 2009. Hundreds of thousands of Americas enjoy recreational riding. Whether these recreational riders participate in short trail rides or much longer pack trips they often rely on public trails. It is important for the horse community to look for opportunities to increase the number of trail miles available to equestrians. 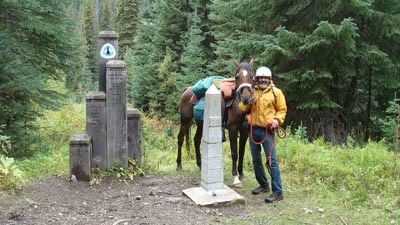 "More equestrians each year are riding NSTs like the Pacific Crest trail and the Continental Divide trail. NST are national treasures and they provide equestrians with a unique opportunity to experience the beauty of America just as early explorers and settlers did," said AHC President Jay Hickey. "We are happy to support a bill to that will help complete existing NSTs and make establishing future trails much easer." "I encourage recreational riders who are interested in promoting this bill or in other efforts to expand recreation opportunities for equestrians to sign up for the AHC's grassroots program, the Congressional Cavalry. The Congressional Cavalry is composed of individuals who will contact their federal elected officials when national issues that impact the horse community arise. It costs nothing and requires little time, but such impute from constituents is very important your Representatives, Senators and the legislative process," said AHC Legislative Director Ben Pendergrass. To sign up for the Congressional Cavalry program, please email Ben Pendergrass at Bpendergrass@horsecouncil.org . As the national association representing all segments of the horse industry in Washington, D.C., the American Horse Council works daily to represent equine interests and opportunities. Celebrating its 40th anniversary this year, the AHC promotes and protects the industry by communicating with Congress, federal agencies, the media and the industry on behalf of all horse related interests each and every day.